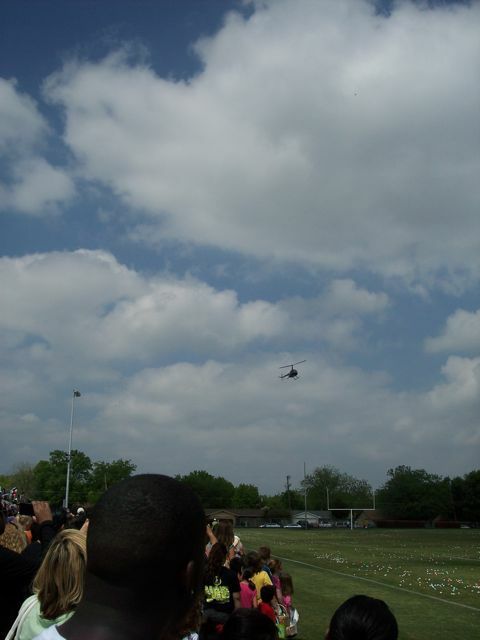 Helicopter coming in for the drop! Today turned out to be an eventful day. We started out attending an Easter Egg Drop hosted by Canyon Creek Baptist Church. And by drop, they mean drop. A helicopter flew over dropping thousands of eggs onto a local high school football field! It was so neat! 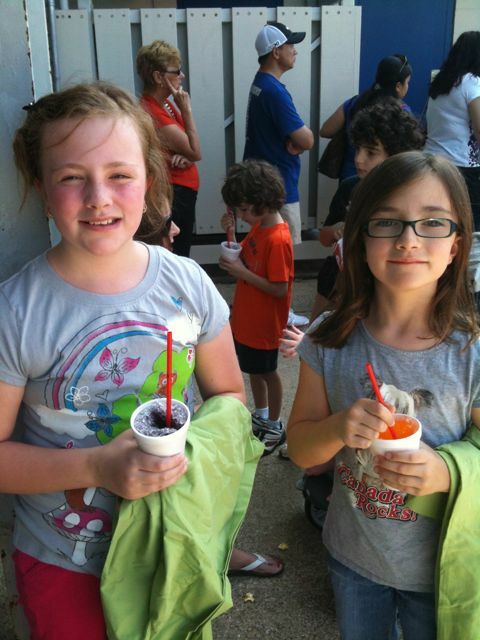 The church also had popcorn, snow cones, and water for everyone - even a train ride, too. The event was an outreach to the community and it was free for everyone! I think they expected 500 people to attend, but in reality I think between three and four thousand people came. It was very well organized, too. We had a great time. Here is a video of the helicopter coming in for a drop. They are dropping several thousand eggs as they pass. It's a little hard to see, but it was really neat in person. They looked like Skittles falling from the sky. The rest of the day we spent relaxing: the kids watched a movie, the adults visited and took naps, and I continued to work on laundry. 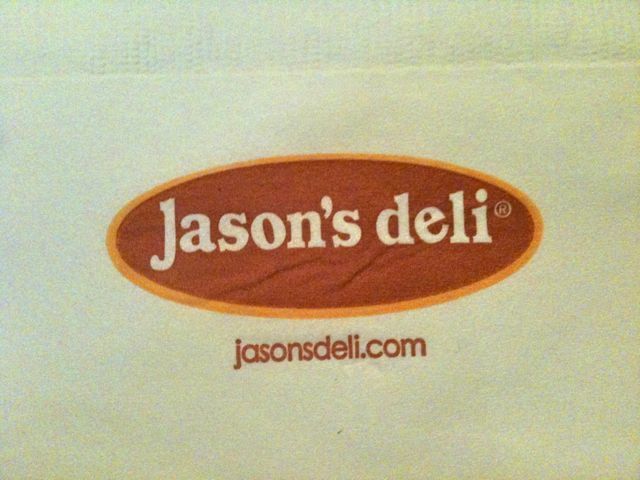 We went to dinner at a great place called Jason's Deli. They have a few in the Atlanta area, but none near where we live. The food was delicious. 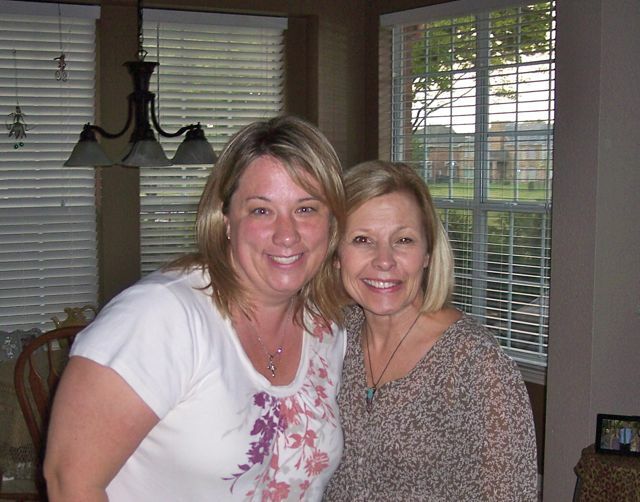 During this time, my friend Karen Hodges was also headed to Dallas from the Little Rock area with her family. Unfortunately, Karen was struggling with a kidney stone and felt terrible. She wound up stopping at an urgent care facility just inside the Texas state line, but didn't get much relief from the medication there. She and her husband decided that she really needed to go to an emergency room to be checked out. Since they had been driving all day, I offered to meet her at the ER so that Jason (her husband) could go on to the hotel with the kids and get to bed. So that's what we did. The ER at the hospital did confirm she had a kidney stone. They got her pain under control and told her to come back if it got worse, and then follow up with her doctor when she got home. I took her to get her medicine filled at a local 24 hour pharmacy, and then took her to her hotel in Irving. She passed the stone (thankfully!) within a few hours. What a relief! And what a crazy adventure! Tomorrow after church we are heading out of Dallas and on towards home! 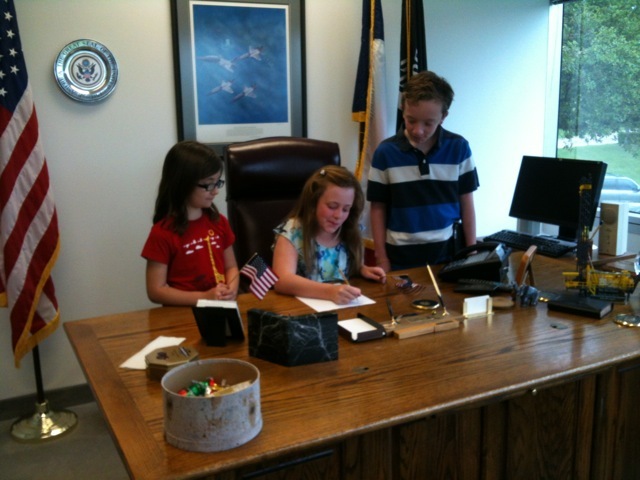 We started our day today at Congressman Sam Johnson's office in Richardson. Susan Fischer is the Congressman's District Field Director, and attends the same church as my aunt and uncle. Susan was more than happy to have us over to the office and show us around. 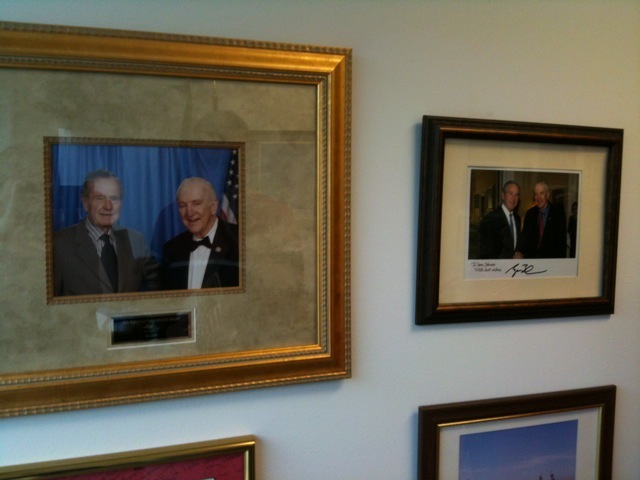 Congressman Johnson is quite an American hero. He is one of only a few House members to have fought in combat, serving in both the Korean and Vietnam wars. He was a Prisoner of War in Hanoi, Vietnam, for almost seven years, most of which was in solitary confinement. He has a distinguished 29 year service record in the United States Air Force. 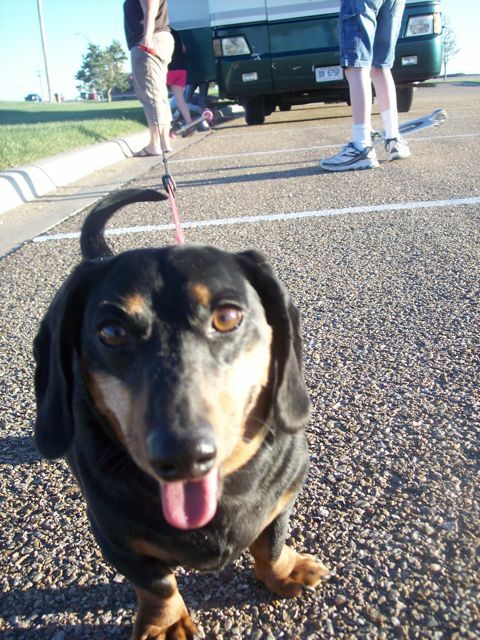 He is also the most conservative member of Congress, based on voting records. While we didn't get to meet Congressman Johnson personally, we were truly honored to tour his office and talk with his staff. Susan Fischer was such a blessing to us! 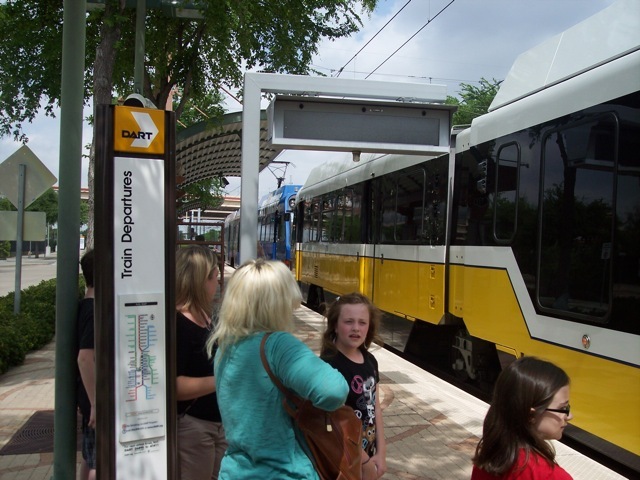 After our visit, we took a DART (Dallas Area Rapid Transit) train to downtown Dallas, which we figured was easier than trying to find somewhere to park. And of course our trusty tour guide, Jessica, was with us, too. 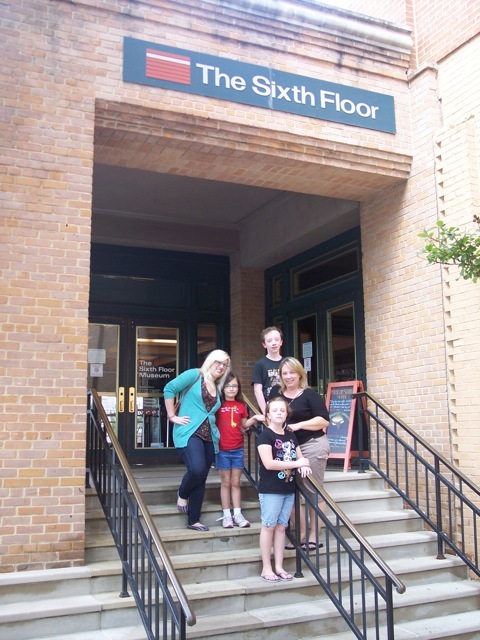 Our destination was the Sixth Floor Museum, housed in the former Texas Book Depository where Lee Harvey Oswald hid to assassinate John F. Kennedy. This is a great museum that chronicles not only the assassination, but also the life and administration of JFK. 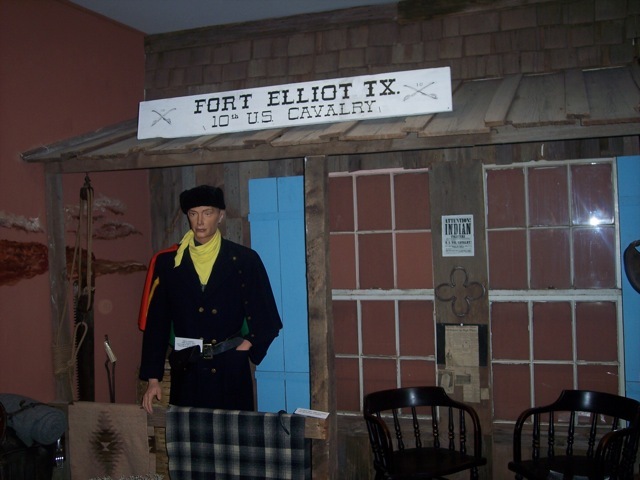 The video and sound clips throughout the headphone-guided tour make visitors feel as though they are right in the middle of the emotion and drama of those dark days in American history. Unfortunately, pictures are not allowed in the museum, but we did take a lot of pictures outside. 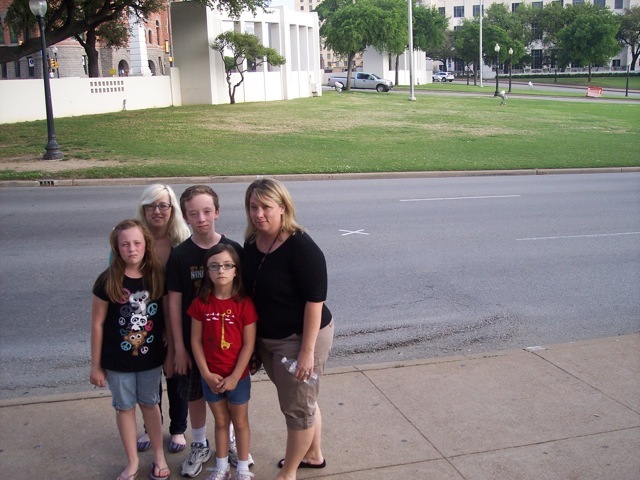 There is even an X in the road where President Kennedy's motorcade was when he was shot. You can see the infamous 'grassy knoll,' as well. After we took the train back to Plano, we headed up the road just a little way to a barbeque place in Allen, Texas, called Rudy's BBQ. Apparently barbeque in Texas is at its finest at gas stations. This little place started out just as that, but has now grown to four locations. The food and the company was fantastic. 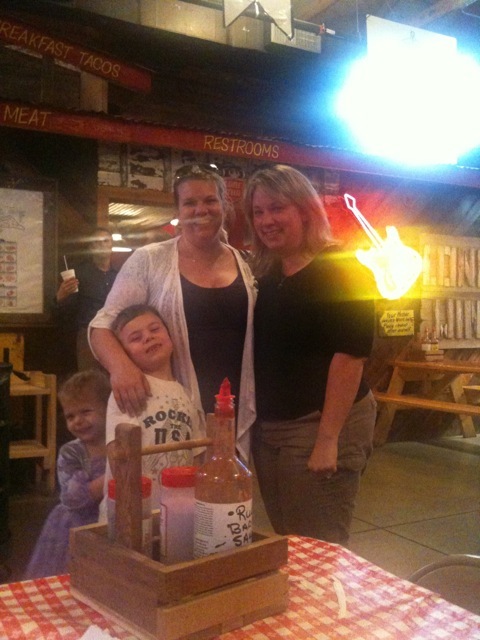 But the best part of this evening was that my best friend in Texas came to join us for dinner! Her name is Elizabeth Neighbors-Court, and she brought her two adorable children with her. Liz and I have been friends for years and years, but lost touch briefly for a few. Thanks to good old Facebook, we got back in touch with each other, and I was SO happy to see her! It was a shame that we only had an hour to catch up.... maybe she'll come to Atlanta soon? It was a busy, long, but wonderful day! Tomorrow we have an Easter Egg Drop to attend! 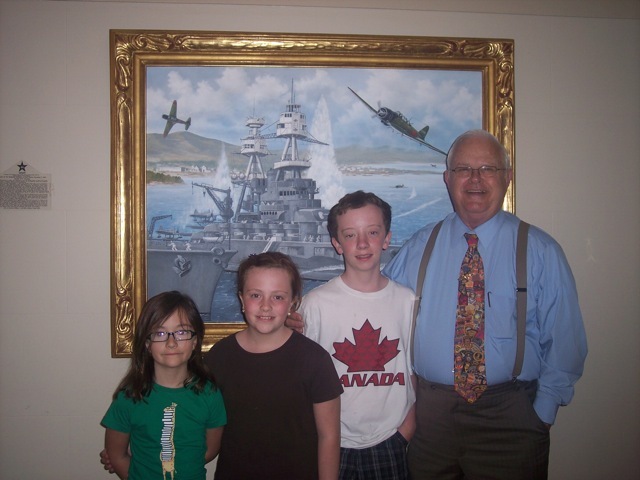 We visited with my Uncle Jim, Aunt DeeDee, and my cousin Jessica. 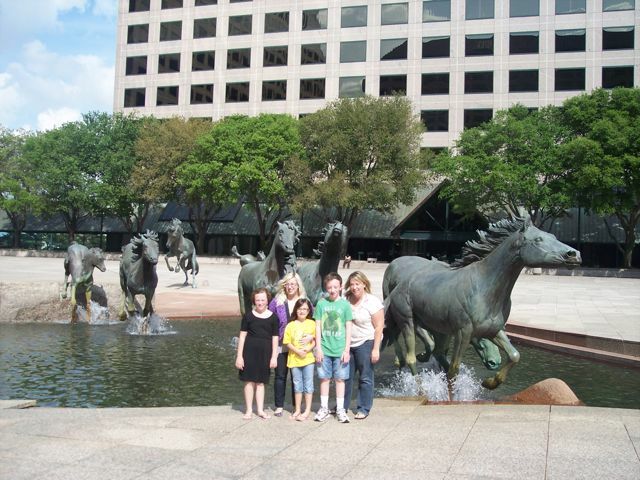 We had lunch and then Jessica drove us on down to Irving where the Mustangs of Las Colinas are located. 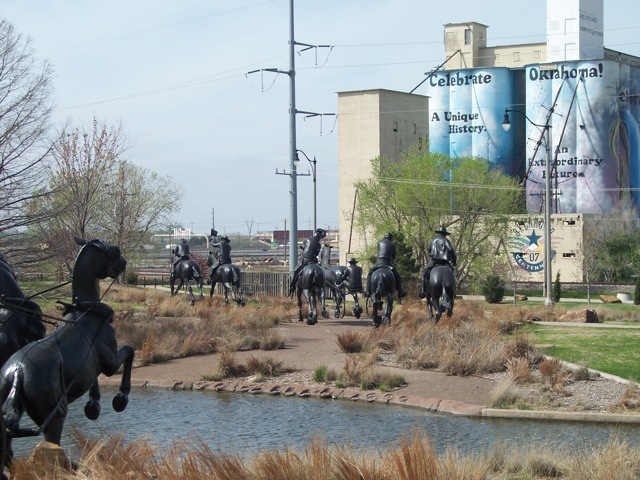 The mustangs are an outdoor art installation and are a local landmark in Irving. The mustangs took 8 years to design and construct by artist Robert Glen in a business area developed by local businessman Ben Carpenter. The bronze sculpture was finished and installed in 1984. 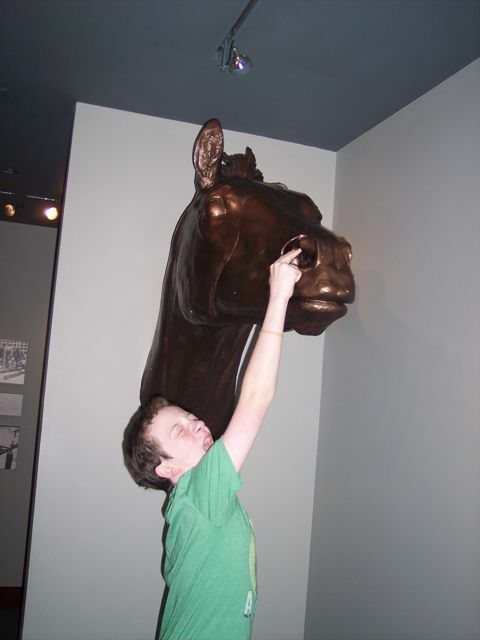 There is a nice little museum chronicling the creation of the mustangs. It was amazing to see the process it took for the free, wild Texas-spirited mustangs to come to life. Since the girls love horses so much, I knew they would enjoy seeing these larger-than-life sculptures splashing through water. When we finished there, we headed back towards the Plano area. But there was a lot of traffic, and for once I didn't have to navigate through it. We were thankful Jessica drove, so thankful, in fact, that Jim and I both fell asleep! I guess we were more tired than we realized. I'm also thankful my kids are fairly well-behaved. They didn't give Jessica any trouble while we dozed off. Thanks for the nap, Jess! 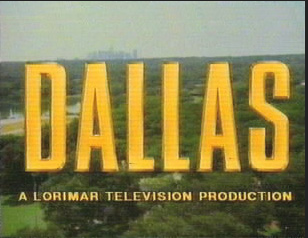 Nearby Parker, Texas, is home to the famous Southfork Ranch, home to the infamous Ewing family from the TV show Dallas. You can tour the ranch and home, but with all the traffic we had to sit through, it was closed by the time we got there. We did get to drive up onto the property, though, so that was pretty neat. Next we headed on over to my aunt and uncle's house for dinner and time to visit with them. They have a trampoline so the kids were very excited about that. We had a great time visiting! Tomorrow we are taking the train into downtown Dallas to visit the Sixth Floor Museum, which is where Lee Harvey Oswald hid out during the assassination of JFK. Today we started out at the Oklahoma Land Run Monument in Oklahoma City's historic Bricktown area. This huge, one-and-a-half time life size monument commemorates the legendary 1889 land run for more than 2,000,000 acres of land in the heart of Oklahoma. The statues cross a man-made river and do a terrific job of illustrating the hope those in the land run possessed. 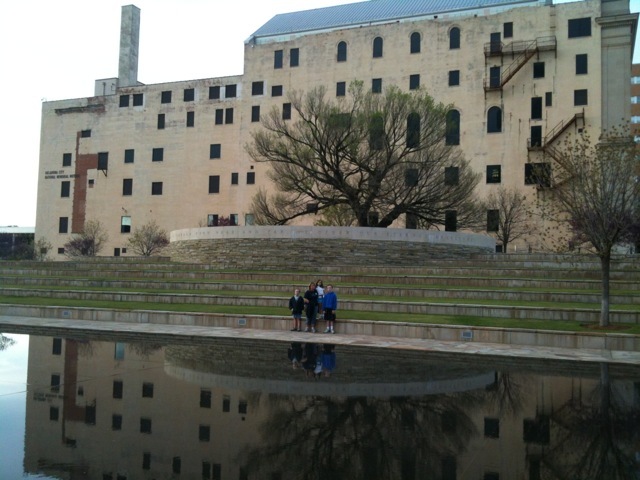 After the monument, we went downtown where the Oklahoma City bombing took place. 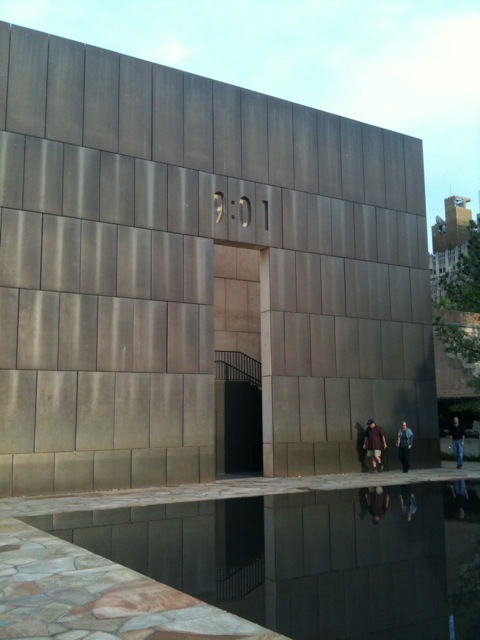 The Oklahoma City National Memorial & Museum is located on the site of the Murrah Federal Building where, on April 19, 1995, Timothy McVeigh detonated a Ryder truck filled with explosives, killing 186 people, including 19 children from a daycare located in the building. The monument is a sobering place, a fitting tribute to those who died or were injured. The east gate to the memorial reads 9:01, the minute before the explosion and the time when the city still lived in innocence. The western gate reads 9:03, the time when destruction was known. On the actual site of the building, there are empty chairs to represent those that lost their lives. The museum was closed when we went by, so I can't tell you about that. However, the memorial and museum website has excellent information, especially on the symbolism of the memorial. 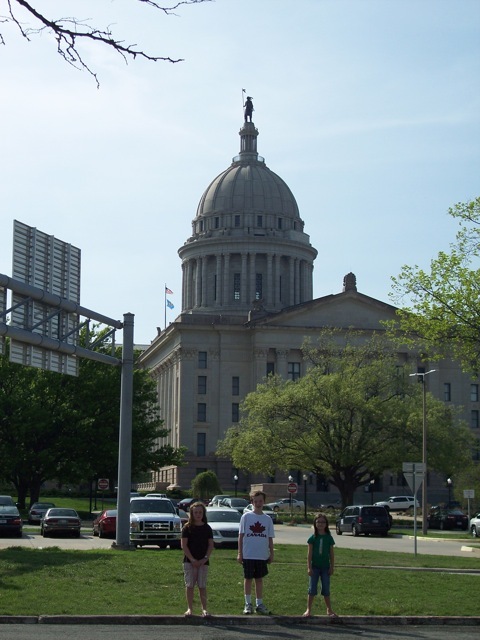 Next on the agenda was a visit to the Oklahoma state capitol. We parked in a side parking lot and a tunnel took us across to the capitol. The tunnel was filled with a beautiful mural depicting different parts of life in Oklahoma, from farming to Native Americans. We started our self-guided tour of the beautiful building. We found our way to the House of Representatives and had just missed being able to watch them in session. 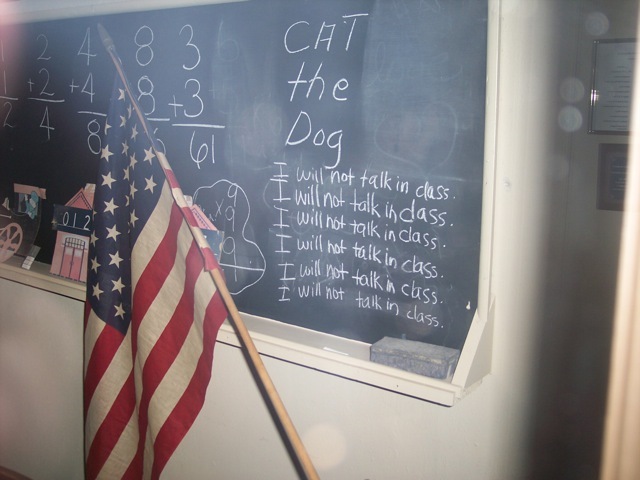 They had just dismissed for the day. 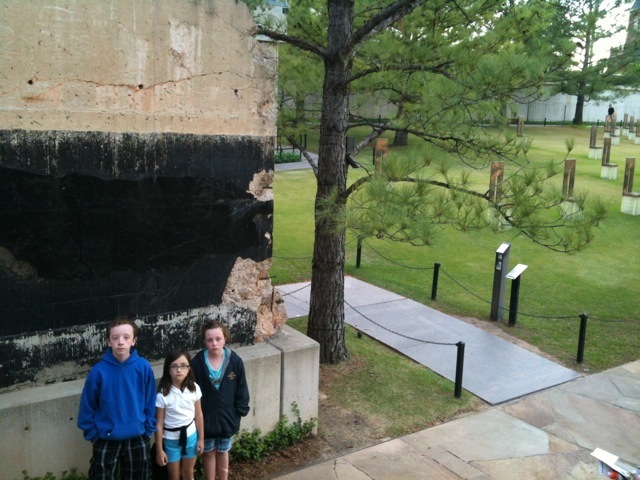 As we came out, we noticed a painting of the USS Oklahoma, which was bombed in Pearl Harbor alongside the USS Arizona. An interesting piece of history on the USS Oklahoma is that it was actually raised from the bottom of the harbor. The plan was to tow it to the mainland and use it for scrap metal. This was upsetting to a lot of people, and appropriately, in my opinion, half way to the mainland the cable that was towing it broke. The USS Oklahoma now sits at the bottom of the Pacific Ocean. While we were looking at the painting, one of the Representatives, Paul Roan, came along and told us of the history of the ship and much more about Oklahoma. ...... was so nice and took a long time with us, teaching us all about Oklahoma and its laws and people. He even called the capitol photographer up to take our picture! (We received the photo after we got home.) What a special treat! Next we went down to the gift shop to get our postcards. 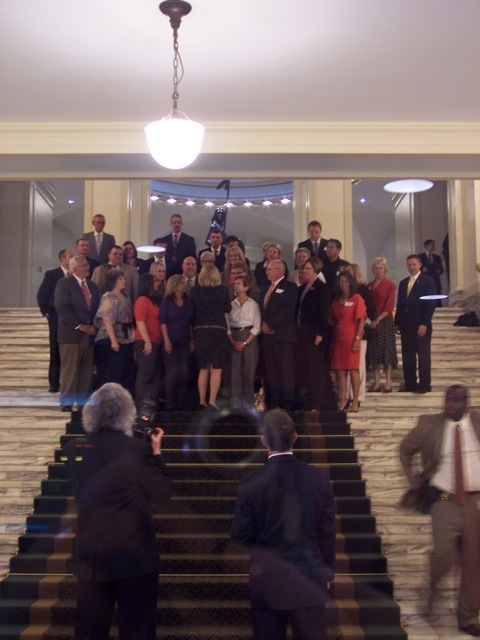 While there, the governor was preparing for an official photo on the steps just outside the shop. Jim slipped up to her bodyguard and asked if there was any way possible that we might meet the governor. He had us follow the governor up to her office and we waited while he was checking to see if the governor was available. Unfortunately, the governor had a meeting that she was already late for, but she did take a minute to autograph a photo for us. Her bodyguard so nice to work so hard to make it happen for us. 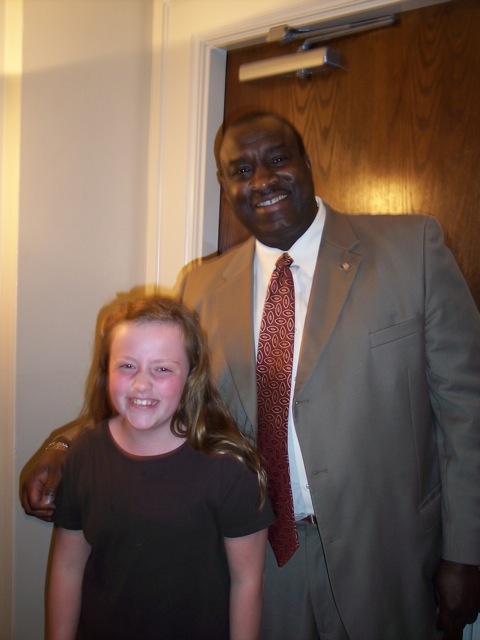 He agreed that when Rachael becomes President, he will become her personal bodyguard. 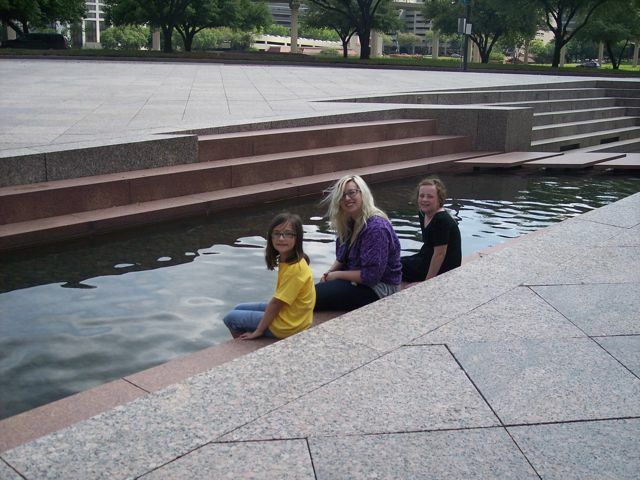 Once we finished at the capitol, it was time to get on the road to TEXAS! 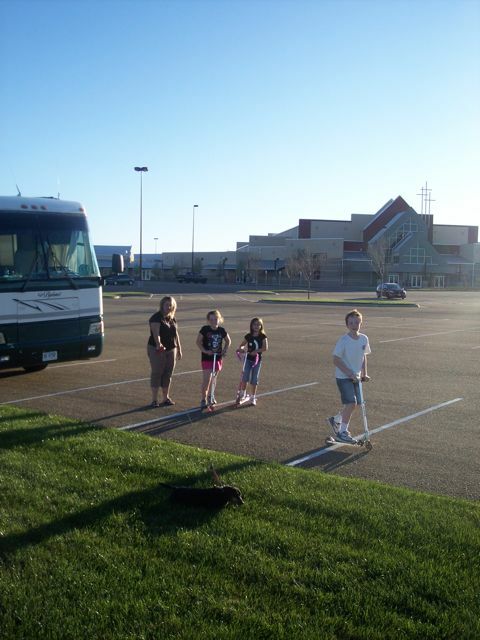 My Uncle Jim, Aunt DeeDee, and my cousin Jessica were all anxiously awaiting our arrival, although it may be a while before we get there tonight. We can't wait to see them, though!! This is the second part of our day in Oklahoma City, and we went to Science Museum Oklahoma after lunch and checking in on Jim. He was feeling much better, so he decided to join us at the science museum. This was another really nice museum, and really big, too. There was a construction area where you could choose from Legos, blocks, or even plastic cups to create your building. There was a large indoor play area built around a tree with a tree house. There was a whole section on constructing your own experiments, as well as one on space travel. ANYWAY, he was really excited to ride it, so of course I took a video. 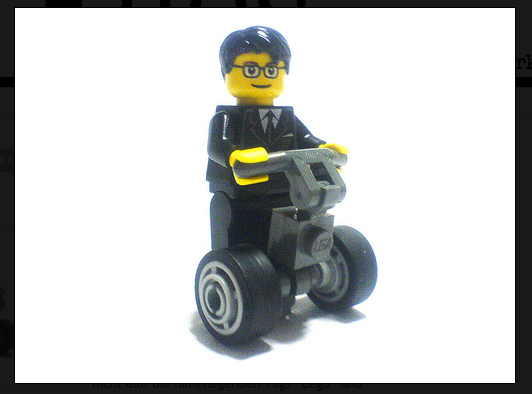 It was the museum's policy to have an employee with each person as they rode the Segway, for safety reasons. So that's why the man was running around with him the whole time. The girls rode, too. The employee tried hard to get me and Jim on it, but nah... we wanted Michael to have his moment. We also experienced the force of tornado winds, experimented with weather forecasting, and felt what a real earthquake was like. 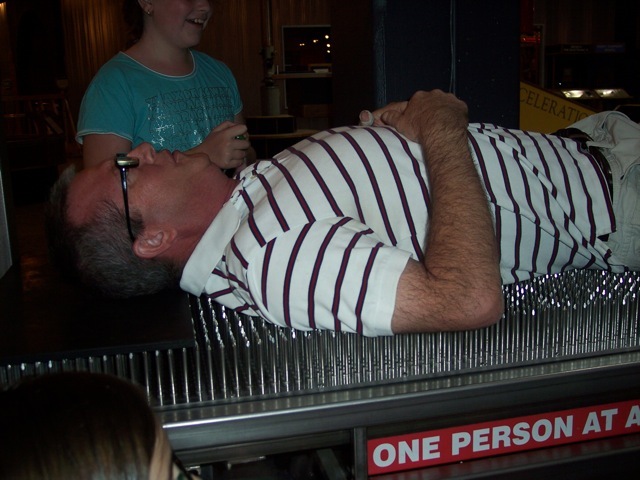 Michael, Jim and I also tried out a bed of nails - it was surprisingly comfortable! The maze of mirrors was a lot of fun, too. We were tempted to come back another day, but decided against it since we still needed to get to the capital and head on into Texas tomorrow. Today was a fun, busy day. 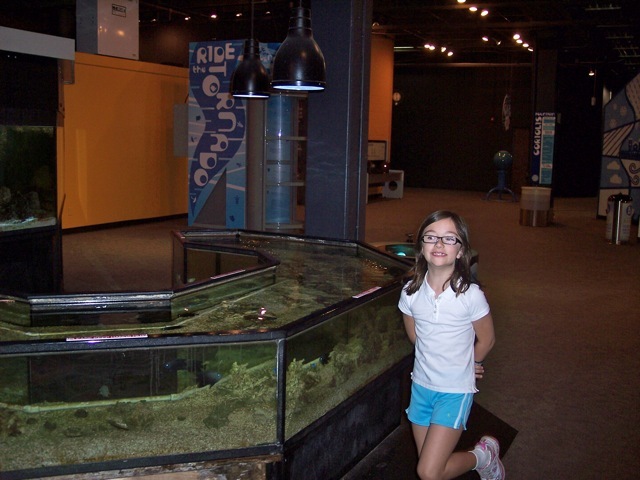 We went to the Oklahoma City Zoo and to the Science Museum Oklahoma, which are located conveniently next to each other. Jim didn't join us at the zoo...it was his turn to be sick. We hated to leave him there, but he insisted we go on ahead, and hoped to join us at the science museum later in the day (which he did!). I had to break the blog posts into two parts. 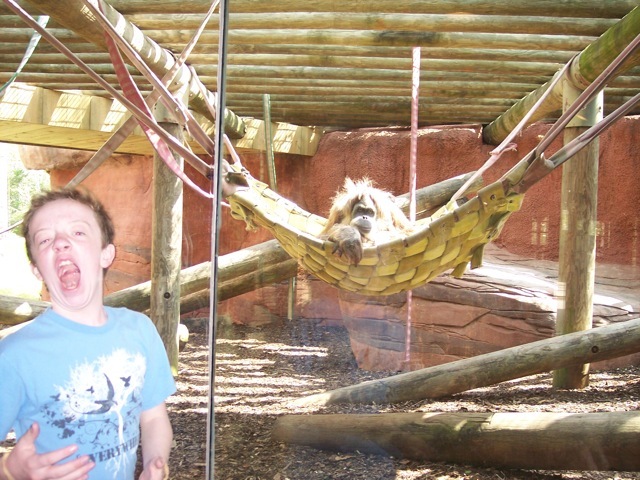 There were just so many pictures from the zoo that I wanted to include that it had to be broken apart. Otherwise you would be waiting forever for the pictures to load. So PLEASE make sure you go to the Photo Gallery and look at all of the pictures. 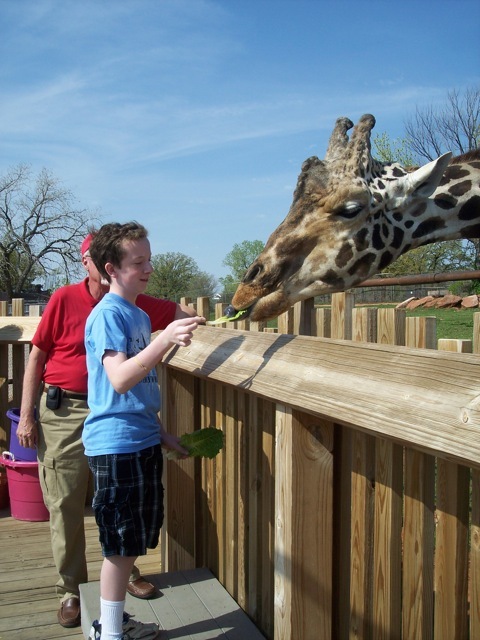 The Oklahoma City Zoo is hands-down the best zoo I have ever been to. It was clean, with wide-open spaces, lots of animals, and extra activities to participate in. If you are a regular reader of our blog, you know I don't often say "Don't Miss It" about somewhere we've been, but this is definitely one not to miss. The admission wasn't ridiculously priced and I can say I felt like we got our money's worth. We first explored the house where they keep the rhinoceros during the night. I imagine it can get pretty cold in Oklahoma City, so they keep some of the animals from warmer climates inside at night and during the winter. They were just letting them outside when we got there, so we got to see them in both parts. 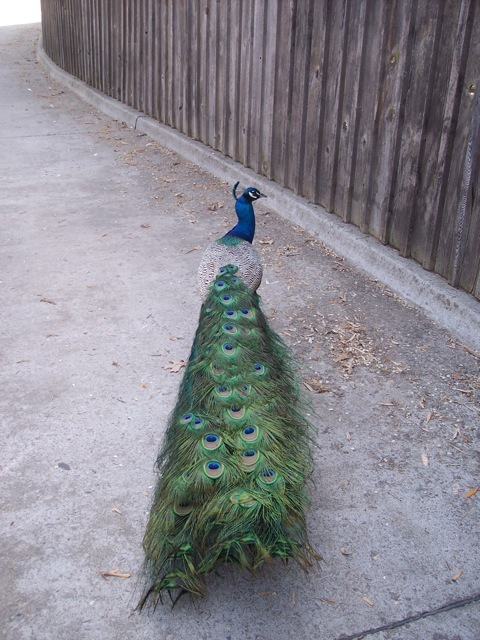 The crazy peacocks were roaming around and squawking at everything. They were so pretty, though, and we were able to get much closer to these than those at the Roswell, NM, city zoo we visited. The next order of business was to head to the giraffe habitat. 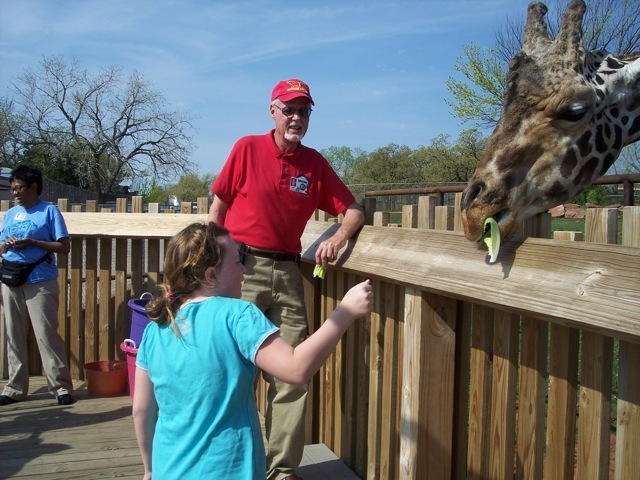 I did not tell Chrissy that this zoo has a giraffe feeding that visitors can participate in. 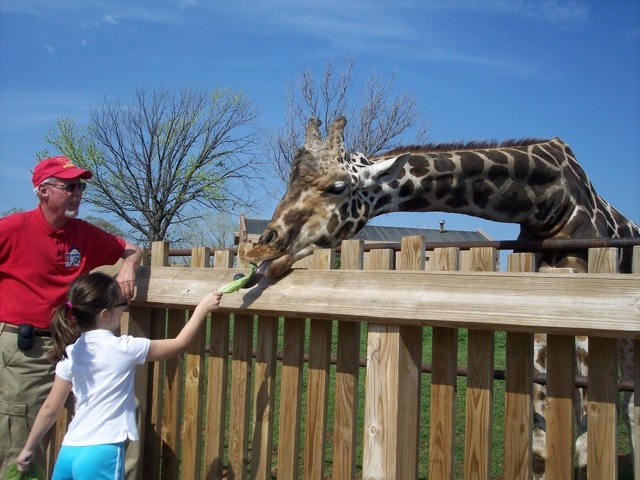 For $3, you get two to three large lettuce leaves to hand feed to the giraffe. So this was a must-do for us - and a surprise for Chrissy. Anyone who knows Chrissy even a little bit knows she loves her giraffes (pronounced girafee-ee). She's loved them since we went shopping one time when she was about two and found a wooden one she fell in love with. I think Michael saw the sign first and told her. She literally squealed with delight. So we all fed the giraffe. It was really neat. 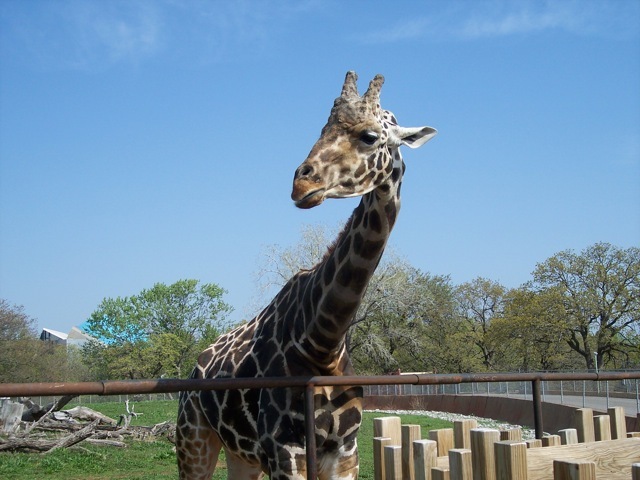 The giraffe was a male that was about 12 years old. His tongue would wrap around the lettuce leaf if he didn't think you were moving fast enough. His tongue was rough like sandpaper, and easily a foot long. There was a baby giraffe, that wasn't out at the time, that was just born in January. He was already over 6 feet tall. We went through all of the other habitats. The second best thing, after the giraffe, was the new elephant exhibit, which was just opened about a year ago. It is a nice, huge area for the elephants - over 9.5 acres. 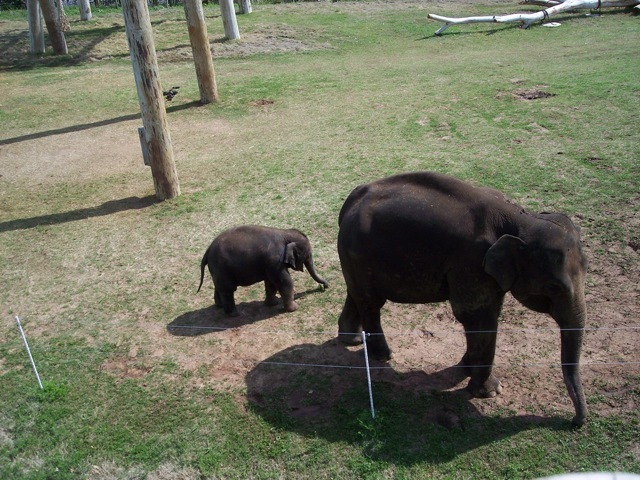 There were a couple of male elephants, and a momma and baby. You can walk up on a walkway that takes you across the entire habitat and lets you see the elephants from above. It was a beautiful day and a wonderful morning. We finished in the zoo, stopped by the gift shop for a shirt that said "I Fed the Giraffe at the OKC Zoo!" for Chrissy, and headed out to the RV for a quick lunch and to check on Jim. 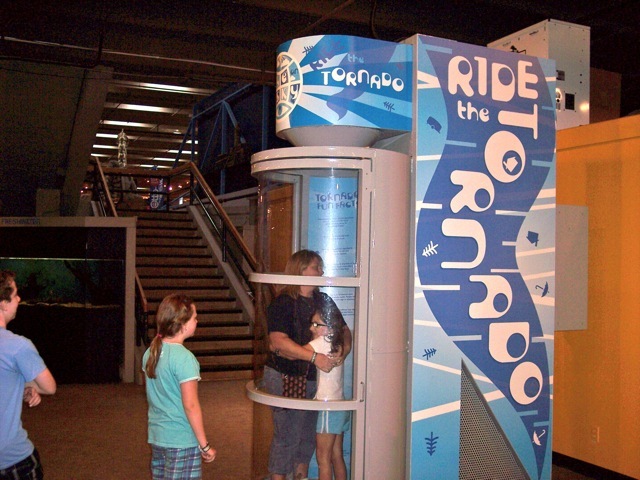 Then we were on to Science Museum Oklahoma. Check out the rest of our pictures in the Photo Gallery! The town from Cars on Route 66! Today was a simple travel day, for a couple of reasons. One there was a little town we wanted to stop briefly in, Shamrock, Texas. Two, Rachael was most definitely sick and I wasn't feeling so great, either. But illness aside, we were still heading towards Oklahoma. 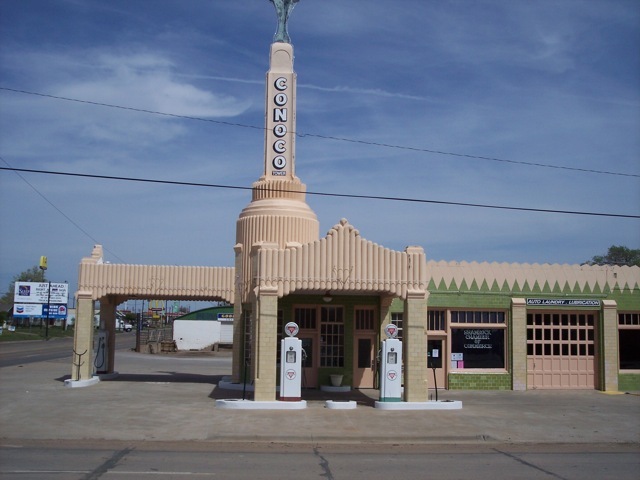 Shamrock, Texas, was a little tiny town off of the interstate on the historic Route 66. Part of the downtown area had been renovated to look like the town from the movie Cars on Route 66. We heard about it from someone on the road, and thought it would be worth checking out. It actually looked pretty neat - at least as far as I could tell from the pictures. I stayed in the RV with Chrissy and Rachael, so Jim and Michael went out exploring alone. While they were out in Shamrock, they found a neat little museum with historical memorabilia from the area. I wish I could give you more details about it, but alas, I was literally asleep. Don't worry, the door was locked and Sam kept watch. 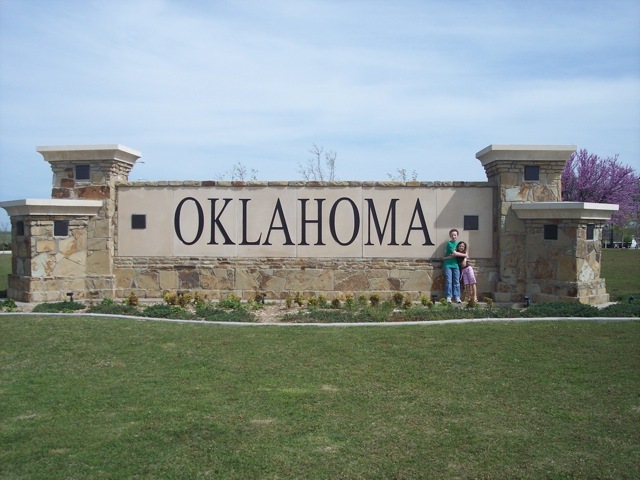 After the quick stop in Shamrock, we crossed on into Oklahoma and stopped at the visitor's center, which Jim was able to get a lot of information from. Then we went on into Oklahoma City. Tomorrow our plan is to hit the zoo and science museum. Fortunately, they are right next door to each other. A few more pictures in the Photo Gallery! Today, since we went to church last night, we got an earlier start to the science museum that we had originally planned, so this was a great start to the day. Today's museum was the Don Harrington Discovery Center. After today at the museum and spending time around Amarillo, I was really curious about who Don Harrington was. Don Harrington was a legendary oil man, very active and generous to the Texas panhandle area, including donating land for a Boy Scout camp. 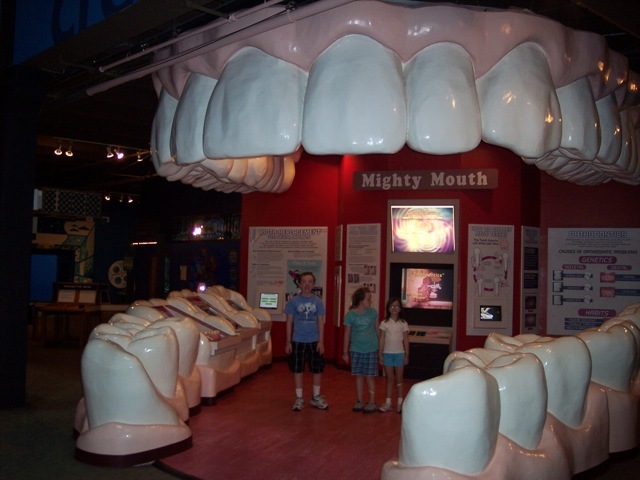 The DHDC had a huge variety of interactive exhibits for kids to enjoy. The first thing Rachael and Chrissy did was a group table that spun and kids helped decorate the paper attached to the middle. Michael and Jim explored some of the other activities. We all got together and worked on building roller coasters. 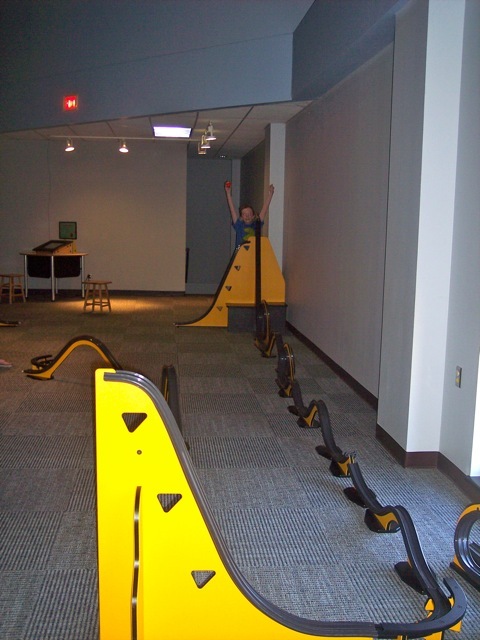 This section gave you various loops, hills, and curves with which to build your own roller coaster. There were also balls to test it out. 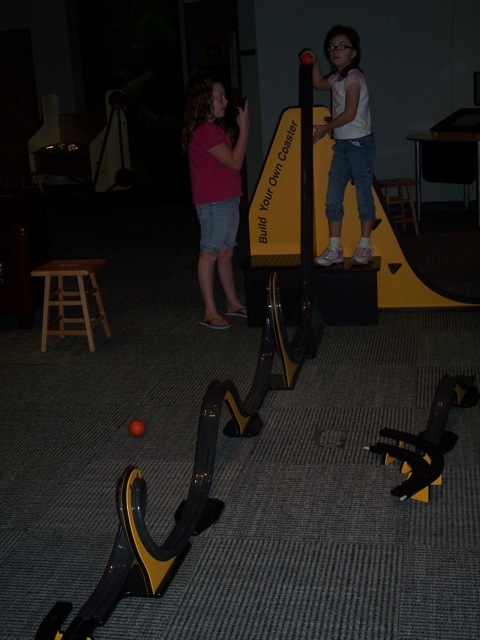 The kids were able to figure out what kind of hill or loop would send the ball flying without throwing it off the track. We had a lot of fun here. Michael and I finished one that worked while Jim and the girls finished theirs (which also worked!). After that we headed to a planetarium show, and then on to more exhibits. 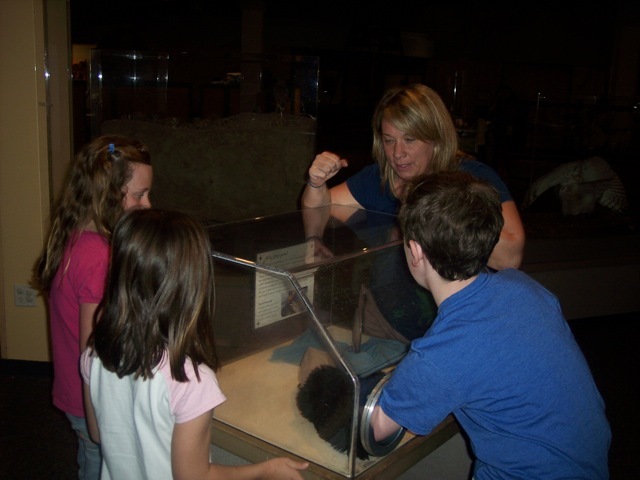 I think the kids really enjoyed this museum the most out of all the science museums we have been to. After the museum closed, we headed outside to the pretty park and playground beside a large pond. It was a beautiful day, perfect for a picnic! 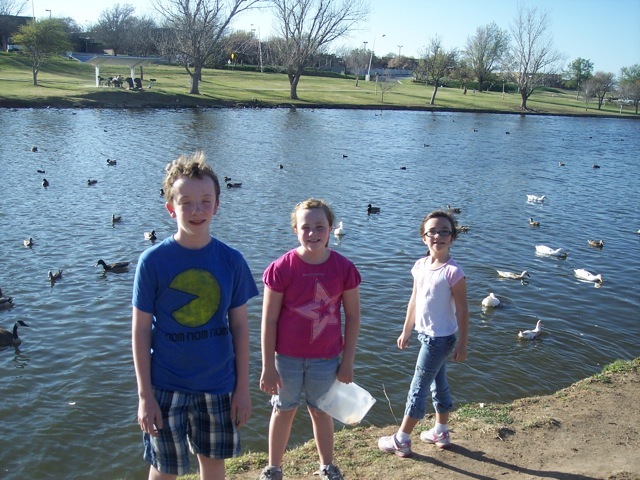 We ate and fed the ducks and enjoyed the sunshine. 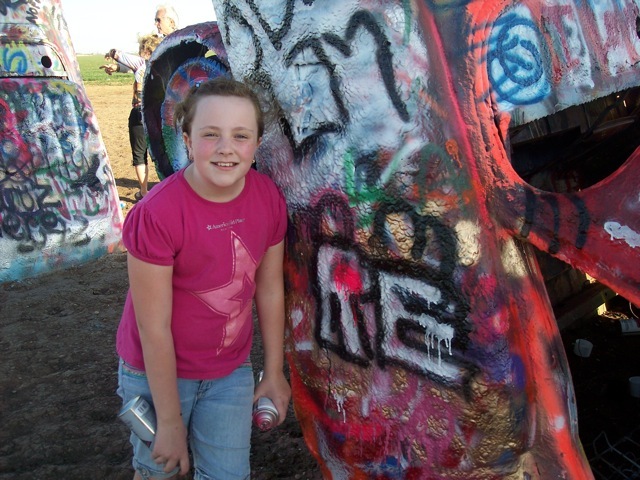 Next was the Cadillac Ranch. 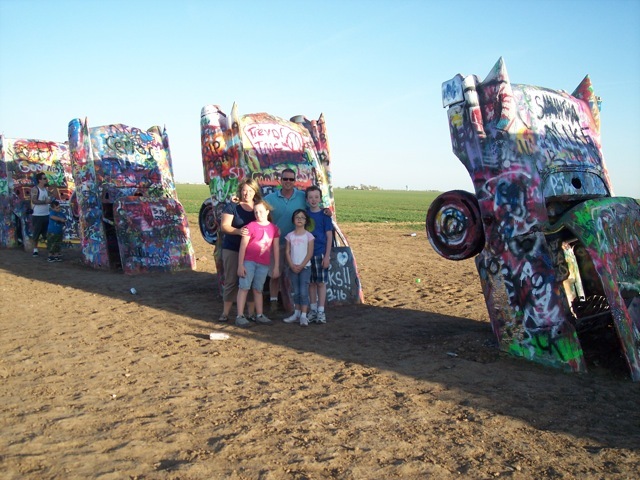 The Cadillac Ranch is an art installation out in a cow pasture in Amarillo consisting of ten old Cadillacs, with the models dating from 1949 to 1963, stuck nose down in the ground. 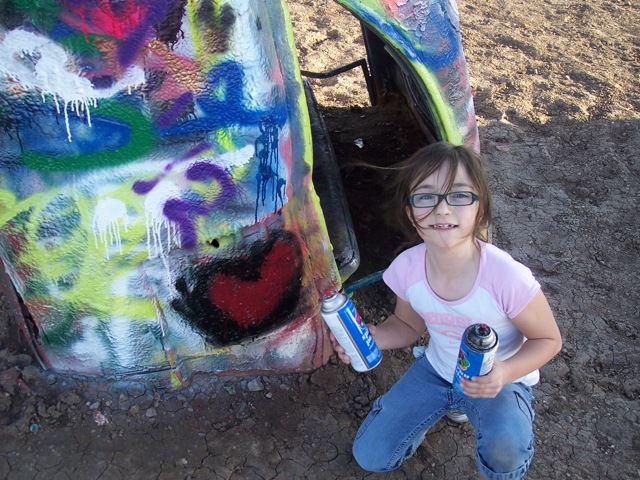 It is tradition to spray paint the cars when you visit. When we arrived, a group of bikers were the only other people there. Although we were a little nervous about them, they were really nice and gave us three cans of spray paint they had left over. The kids had a ball spray painting! Jim and I did, too. By the time we left, many more people had shown up. We finished out our day with dinner at Red Robin (YUM!). The kids love Red Robin. We ate at one in Wisconsin and they always want to go back, so we try to do so occasionally. Tomorrow it's on to Oklahoma!! Today we rolled into Amarillo, Texas! Amarillo is a pretty little town and we knew we were back in Texas when we got here! Our first stop was an RV Museum!! Who knew such a thing existed?? This one has only been open since February, so our timing was just right. And it was free! 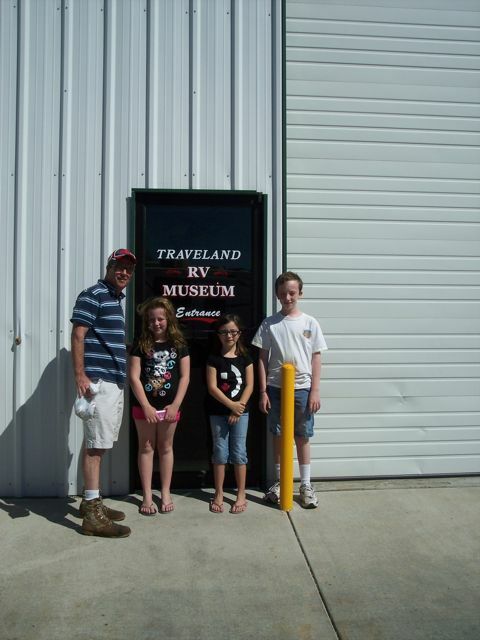 This RV museum, at Jack Sisemore's Traveland, has been created out of Jack Sisemore's personal collection that he has acquired through the years. He simply wants to share his love of RVs with others, and that's why admission is free. The first RV you see when you go inside is a 1948 Flxible (not misspelled!) Bus, but this isn't just any bus. This bus was the "Gornicke" family RV in the motion picture "RV" starring Robin Williams! The bus was modified into a motorhome for the movie, and you can get in and tour it in the museum. They were also playing the movie "RV" there beside it in the museum. It reminded us that we have the movie on DVD, so maybe we will watch it tonight. It was really neat to be in a motorhome that was part of such a funny movie! 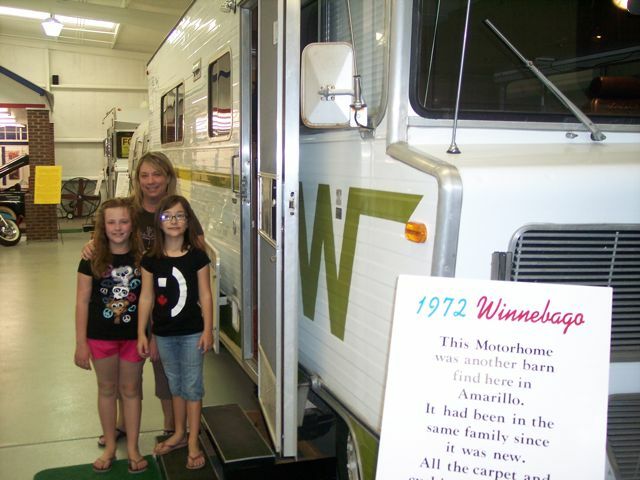 The museum featured all sorts of campers and RVs, with some pop-up campers dating back to the 1930s. 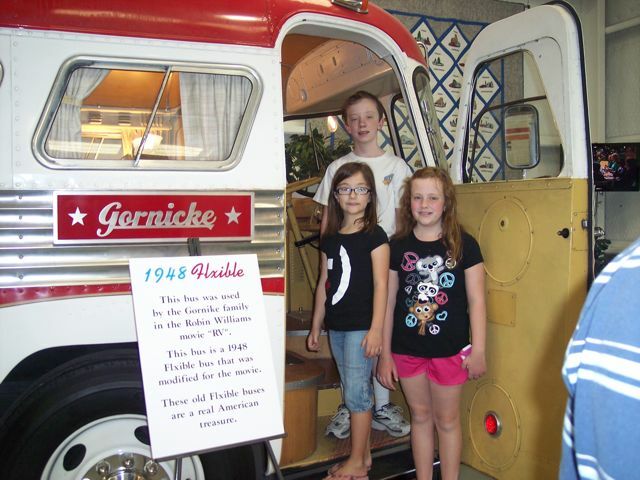 The very first Itasca motorhome made is in the museum - with a serial number of #1. There was also a nice collection of motorcycles, as well. 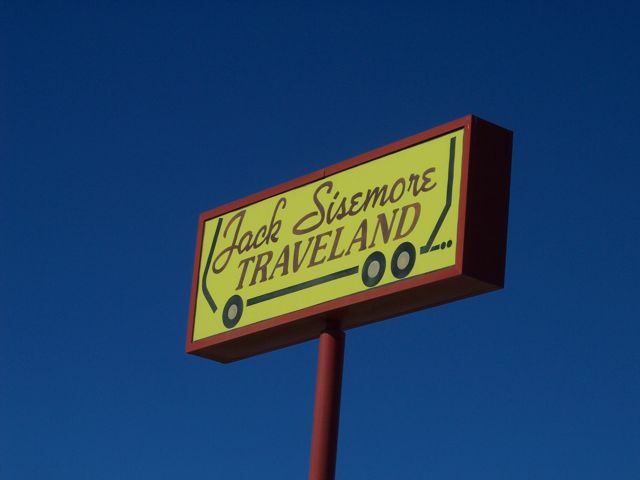 The museum also told a little bit of history on the owner, Jack Sisemore. 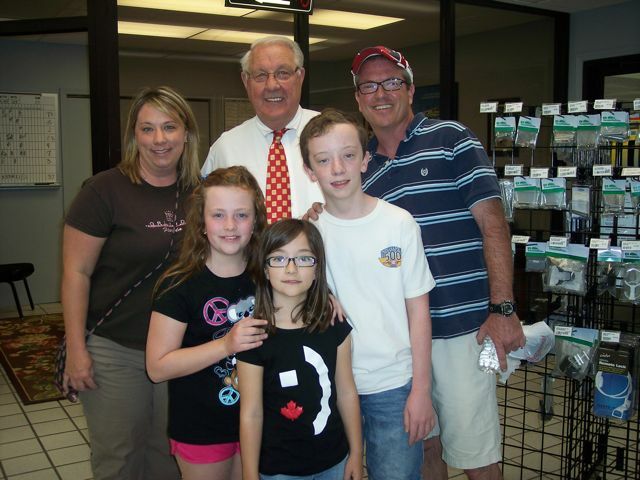 He began working at a local gas station and later, as owner, began renting out RVs for people to vacation in. His business just took off from there. After we finished the museum tour, we went to do a little bit of shopping in their store for a few maintenance items for our RV. While in there, we met, and talked to for a while, Jack Sisemore himself. He is a super nice guy, and a Christian, too! We talked about where we have traveled to and all of his favorite places to visit in his RV. He even recommended a church for us to visit while we were in Amarillo. It was such a pleasure to speak with him! After we left Jack Sisemore Traveland, we headed to church. One of the churches that Mr. Sisemore recommended has a Saturday night service, so that's what we decided to do. Hillside Christian Church has several campuses in the Amarillo area, and one was very close to where we were, so we made it in plenty of time for the service. It was a very uplifting service, and it was so good to be in God's house once again. Hillside has a huge parking lot, so we let the kids ride their scooters for a while before we left. Even Sam enjoyed being outside in the sunshine! We did decided to watch the movie RV tonight - oh.so.funny! The humor took on a whole new meaning! 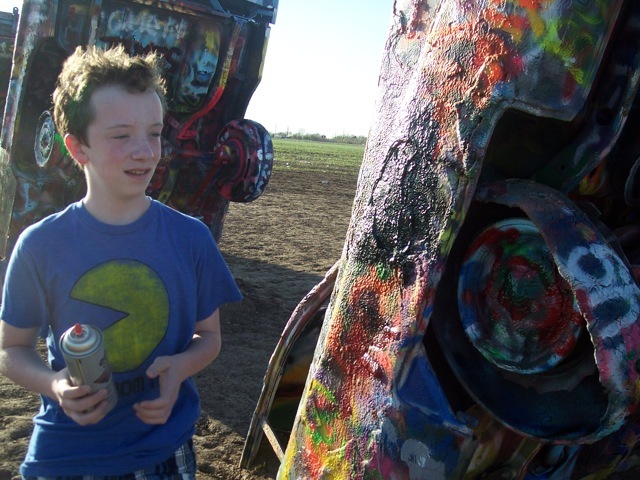 Tomorrow it is off to a science museum and the Cadillac Ranch!